Famous For: All Kinds and Types of Restaurants, Partying, Art, Shopping, Photography, Experience Seeking and historic relevance, Islamic academic center, Fabulous architecture, Sightseeing. Entrance Fee: There isn’t an entry fee for the entrance to Haus Khas Village as such, although the rules or fees are individualistic and distinct for the different pubs and shops inside the village. The village is open to all. Visiting Time: The Haus Khas Complex is open from 10:30AM to 7:30PM from Mondays to Saturdays, while the restaurants and pubs go on to glam up the nights till after 1 PM. After 12:30 strict police supervision and PCR van patrolling begins. Visiting Duration: A typical visit to the Hauz Khas Village can last up to anywhere between 2 to 6 hours. The Hauz Khas Village or the HKV in South Delhi is the perfect amalgamation of a touch of the beautiful past with the revving raving present. Along with a mosque, a reservoir, an archaic example of the architecture splendor of the Delhi Sultanate, plush with the fauna and flora this place proudly also boasts of the best party places in town. This is one spot all Delhiites love to hate. Despite the growing scruffiness of the place, it hands down beats any other choice in town to shop, eat or generally enjoy the vibes! At the entry of the beautiful vast reservoir which is in itself a delight to the senses, is a Deer Park. Lush with greenery and landscaped beauty, it is a breeding place for peacocks, guinea pigs, rabbits, deer, and such a long list of a variety of birds, animals and insects that grace the gardens. The light and sound show conducted by the Tourism Department is a must to attend to gain insight into the history and the territorial and architectural splendor of this complex. Enjoy a hip and happening evening in the uber bar/DJ with all the glitzy accessories like fake mustaches to wear, some ultra cool music to dance to and good food at The Living Room. Revel in the free Wi-Fi, unlimited tea and fresh Coorgi availability at the Kunzum. And while you’re here, read a few good travel books too. Admire some fine, preeminent works of Art- Yodakin, Delhi Art Centre. There are definitely no guides here as the whole vast urban village is your oyster and you can run about exploring each niche there. The months between October to March are the best months to visit South Delhi, where Haus Khas exists. The summers are very harsh and so are the winters here. Although to visit Haus Khas, you just need to have the party mood on and absolutely any given time of any given month will get converted to the best when you drop a visit here! You just have to choose your favorite pub and your gang. Take a cab from anywhere in the city of Delhi to arrive at the well-articulated destination of Haus Khas Village. If you choose to reach here by bus, the nearest bus stop from here is called the Haus Khas, at Aurobindo Marg. If you are a metro person, there is a metro station in Haus Khas itself and also in Green Park, on yellow line. The etymology of the two words Hauz Khas in the Persian language means ‘Hauz’= Tank and Khas=’Royal’ meaning the Royal water tank pertaining to the water tank around which the whole structure is built. It is also known as Mehak ka Chota Quila. 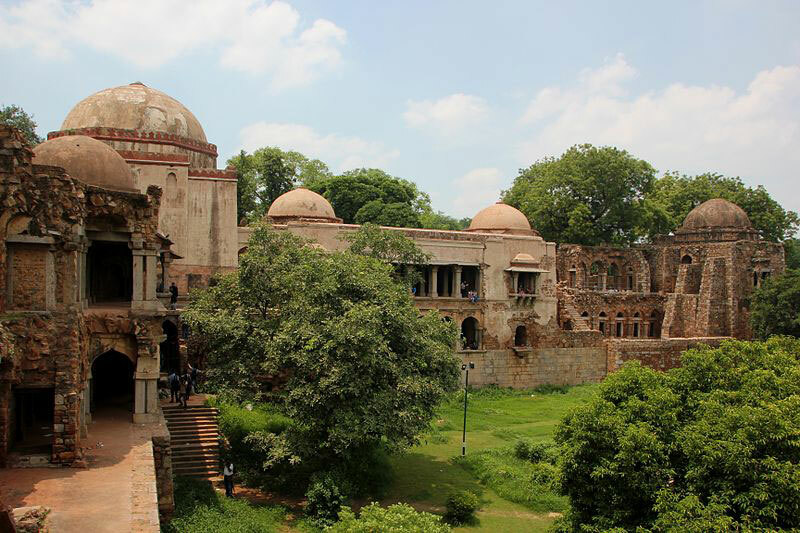 The Hauz Khas Village, fondly called as the HKV or the urban village of Delhi, harbors an Islamic seminary or a Madrasa that has been established in 1352, a mosque, Firoz Shah’s tomb and six of the most impressive multi shaped pavilions with domes constructed around a water tank. 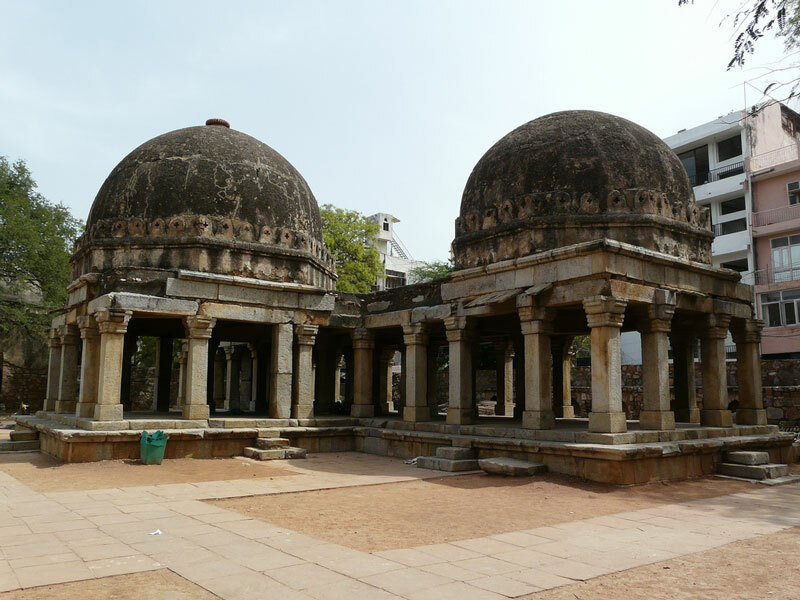 The construction can be traced back to the 13th century reign of the Delhi Sultanate. If all planned goes well, there might also be India’s first night bazaar coming up soon here- “Eco Night Bazaar”. There’ll be provision of organic food grains, seeds of rare plants, handmade paper products, an open-air theatre for watching cultural fests/folk dances/plays. The Indian National Trust For Art And Cultural Heritage organizes “Heritage Walks” every year where in people pay a certain amount of fee for participation in the awareness and enlightenment of the crowd regarding cultural and heritage sites is carried. The Hauz Khas is one exclusive and amazing place that you definitely need to experience once and you’ll always be coming back for more and more!